The 1.5 inch (37mm) Angled Legacy paint brush is a premium white bristle brush designed for oil based paints, varnishes, polyurethanes and stains. This angular brush size is best suited for windows and smaller trim such as shutters, mouldings, baseboards and smaller furniture. The soft bristles provide the smoothest finish and is ideal for interior painting. Guaranteed against manufacturer's defects for one year. The 3 inch (75mm) Flat Tradition paint brush is a professional polyester/nylon brush for use with all paints for both interior and exterior painting. This wall brush size is best suited for large flat surfaces. We only use the highest quality filaments which makes this brush extremely durable and effective for precise edging. This paint brush is a professional quality brush designed for use with all paints and stains. The brush has a stainless steel ferrule, wooden handle and a blend of polyester filaments. Diamond Pro Trylon brush filaments are made with a unique proprietary blend of ingredients which allows it to pick up and release more paint, allowing you to finish paint projects faster. It has excellent performance in high heat and humidity and offers better levelling with today's heavy-bodied, fast drying, low/no VOC paints. 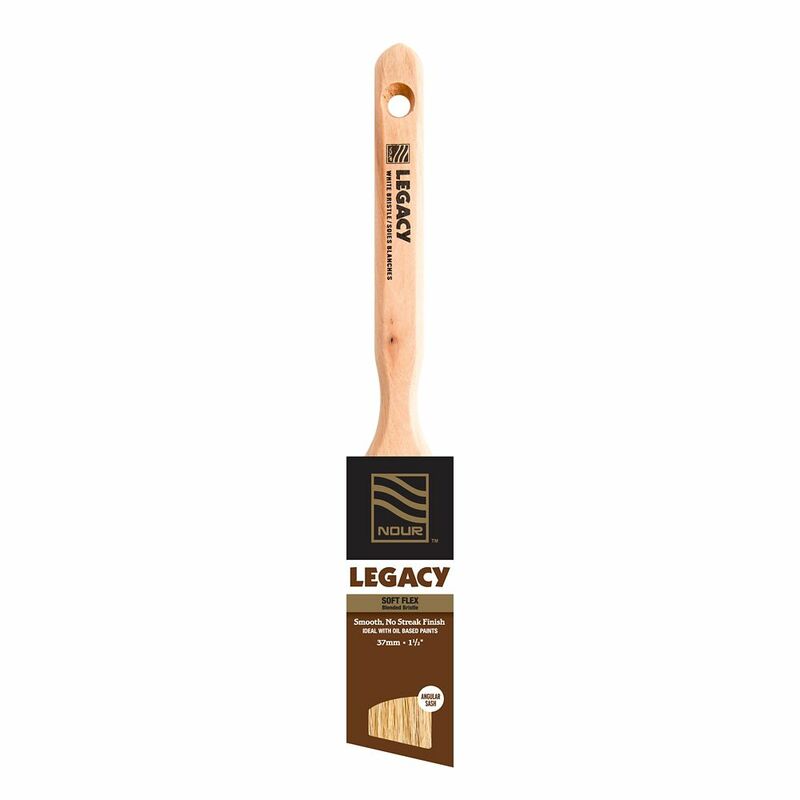 Legacy 1 ½ inch Natural White China Bristle Angular Brush The 1.5 inch (37mm) Angled Legacy paint brush is a premium white bristle brush designed for oil based paints, varnishes, polyurethanes and stains. This angular brush size is best suited for windows and smaller trim such as shutters, mouldings, baseboards and smaller furniture. The soft bristles provide the smoothest finish and is ideal for interior painting.